This area can be a slideshow, a feature story, or just a nice static photo or graphic relating to the site. Combining the excitement of sport with the rigors of science and technology, the FIRST Robotics Competition Iowa Regional will bring together more than 45 FRC teams from the Midwest and around the world to compete in the University of Northern Iowa McLeod Center. Each high school team has had just 6 weeks to design, build, and program their robot to play this year’s game - Deep Space. During each match, witness two brand-new alliances of 3 robots each face off against each other. Cheer on FRC teams during exciting matches in McLeod! Meet team members up close in their pits in the Dome! Root for your local FRC Team! Be inspired by the innovation of our youth! Get in the spirit - Costumes are welcome! Saturday is the perfect day for family participation in FRC. Concessions will be open from 12:30 to 4:30 pm on Saturday. Park in the West Dome or South Art parking lots. Parking is $5.00/car. Don't forget to take a tour of the pits (where the teams work on their robots) during your visit. Safety glasses are available for loan during pit visits. If you can't make it Saturday, the event is open on Thursday from 8:30 am through 6:00 pm and on Friday from 8:00 am through 5:45 pm. Learn more about the FIRST Robotics Competition Iowa Regional. We recommend that school groups visit Thursday afternoon between noon and 3:00 pm to view practice matches or Friday morning between 9:00 am and noon for qualifying matches. If you are organizing a school group, please email iowafrc@cfu.net with the school, grade level and number of students, and approximate visit times. Organize a formal or informal UNI student tour - Faculty and UNI Student Groups, bring your whole class/group or send your students/members individually to the FRC Regional. The FRC Regional is open to the public, so your students can visit at any time. However, you can increase the value of their experience by scheduling an Ambassador's Tour of the event for your class. If you schedule an Ambassador's tour, FRC Team Member Ambassadors will meet with small groups of your students and take them on a tour of the pits, explain the game, and watch a match with them. 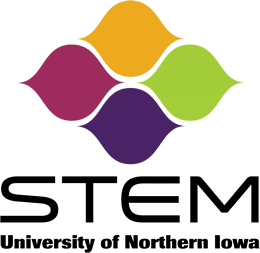 This is a great way for UNI students in education and STEM majors to experience the FRC Regional. UNI Education Majors - Friday between 10:00 am and 4:00 pm there is even more for YOU to see! 4th-7th grade FIRST Lego League Teams and 7th-12th grade FIRST Tech Challenge Teams will be demonstrating their levels of FIRST in the Dome at this time. Early Childhood and Elementary Education majors may want to visit the regional between 9:30 and 11:30 am on Saturday to see presentations by FIRST Lego League Junior teams. These are the youngest member of FIRST. To schedule an Ambassadors Tour please contact seavey@uni.edu by March 15th at the latest.